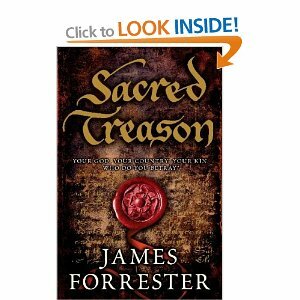 Sacred Treason, by James Forrester, is a mystery-thriller novel set in the Elizabethan period. Mr. Harley, better known as Clarenceux, was given the dangerously high mission of decoding and preserving a chronicle that held the secret to the legitimacy of the throne…Why him? Clarenceux was literally thrown into this quest -unbeknown to him were the reasons for his being chosen, nor the dangers and horrors that would accumulate. Henry Machyn, the church clerk, funeral arranger and tailor was the person who wrote this chronicle. Before meeting his final fate, Machyn delivered the document to Clarenceux and bestowed upon him the duty of its safety, deliverance and decoding- all for the sake of re-instating the Catholic faith and the political changes that that would entail. The tale leads us into an intricate maze-like plot, with Clarenceux solving the mystery step by step. Along his treacherous journey he was accompanied by Machyn’s widow, Rebecca. The two of them became very close due to the nature of their dangerous mission which lead them to care deeply for one another. There were several moments where Clarenceux (married with children) desired Rebecca (and vice versa) but his respect for her, his wife and his Catholic faith kept him strong in avoiding temptation. (Although this rang a bit holier than thou- it also stressed as commendable and in line with his faith). Clarenceux faced incredible obstacles to preserve ‘the truth’ in the precious document. To further the mystery of this puzzle, there were nine Knights of the Round Table, who had all sworn to keep the faith and preserve the chronicle for its sublime truth as well. Packed with action and well researched history, James Forrester writes a novel that will capture the interest of those who love their history mixed with gruesome fighting, torture, mystery and suspense. The book is detailed to the very moment although at times it felt like there was just too much that lasted too long. I loved the beginning and was immediately drawn into this story, but then the scenes, the journey and quest altogether felt endless. I would have preferred a faster pace with less dragging and over-telling it, with less battles and action. But then, that’s just me, preferring more heroine material over soldiers torturing, and settings in dark tunnels. Yet, truth be told, the story was gripping enough for me to read up until the end- I really wanted to see that mystery solved! Definitely an interesting take on historical mystery- the whole idea of this chronicle and its possibility is brilliant in itself. Engaging and sure to be a hit for lovers of historical mysteries revolving around a male hero. Sourcebooks is offering a copy of SACRED TREASON, by James Forrester to one of my Lucky Followers! For extra Chances post on FB, Twitter, Blog and more - Come back with link in comments. WINNERS of THE QUEEN'S LADY!!! KIMBERLEY of Lost in a Book!!! 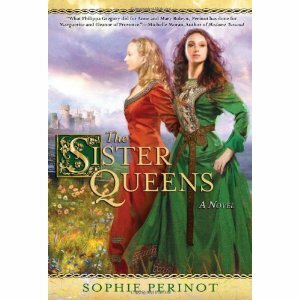 INTERVIEW and GIVEAWAY: The Sister Queens, by Sophie Perinot! Please read this terrific interview she gives! With no further avail, Sophie Perinot! How do you choose which heroine of interest to write about? For instance why these two particular women in history- Marguerite and Eleanor? I know it sounds strange but I think the choosing is mutual. Yes, I select heroines who speak to me because of personal interests and life experiences, but I also feel fate puts certain women in my path. 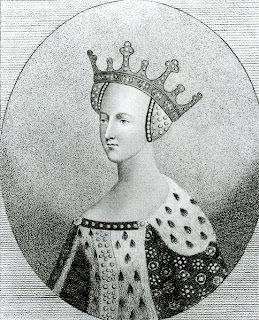 Marguerite and Eleanor of Provence are a case in point. I believe I discovered the story that became The Sister Queens because I view the world through a sister’s eyes, but there was also a certain amount of serendipity involved. I stumbled upon Marguerite, Eleanor and their two younger sisters while researching a 16th century project half-a-dozen years ago. There they were, a side note in a book on the history Notre Dame de Paris (Marguerite’s image is carved over that great church’s Portal Rouge). These amazing 13th century women were raised at a court considered model in chivalric terms, connected to a “celebrity” family of the High Middle-Ages (the Savoyards), and all made politically important marriages, yet I had never heard of them. 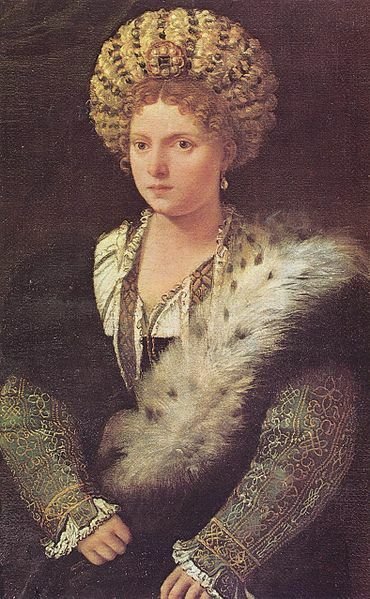 I wondered how such significant women could have slipped through the fingers of history. The fact that they had done so made me angry, but any number of historical oversights do that. 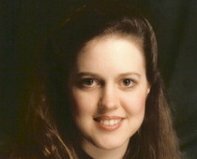 What made these women stick in my mind—and caused me to start a file folder with their names on it, vowing to come back and tell their story—was the sister aspect of their tale. I’ve been a sucker for sister-stories all the way back to the March sisters in Little Women. I suspect that’s because I am half of a pair of incredibly close sisters (my first childhood memory is of my sister coming home from the hospital and we have been best friends ever since). Ultimately, I chose to focus The Sister Queens on the eldest sisters (Marguerite and Eleanor) because: 1)they were the closest of the four despite being separated by the English Channel for long stretches of time, and 2) their relationship of mutual support, tinged with rivalry, really spoke to me.I wanted my book to examine the early reigns of these important queens (both France and England were major powers at the time in a way that the kingdoms the younger Provencal sisters ultimately ruled were not) while they were finding their feet in strange lands and establishing roles for themselves as queens. Can you please give us a glimpse of how you go about reading, researching and writing about your topic for a novel? Once I have the inspiration for a particular book, in this case courtesy of my chance encounter with that historical side note, I begin researching in earnest. I was a history major in college and I’d like to think my research skills are still sharp. A substantial amount of both primary and secondary source research went intoThe Sister Queens. But research is not as onerous a task as it was even five years ago. Technology has vastly improved access to information (and experts) right from a writer’s desks—everything from the contents of scholarly journals to digital copies of manuscripts is now on-line. Being able to search World Cat and Jstor from home rather than going through a reference librarian is heaven. Of course I do travel to reach sources when I have to (or use that old standby the interlibrary loan) and I have stacks of old-fashioned books which I am constantly tripping over. While I am reading sources, taking notes,building historical timelines and basicallydigesting historical material until my brain is swimming in it, I am waiting for what I can only call the “genesis moment.” This is the instant when one or more of my characters begin to speak and act for themselves almost without my volition. That’s how I know it is time to start writing. The timing of this event varies. When it happens I often “hear” or visualize a scene in its totality. In the case of The Sister Queens, Marguerite spoke to me first, offering me the lines that would become the opening of Chapter 7 of my finished book. Her voice was first-person present-tense. That was a BIG surprise because I thought I’d be writing the book in third person past. Once I heard Marguerite, the biggest challenge became making sure Eleanor developed a distinguishable voice. I was assisted in this by the fact that I had VERY strong impressions of each sister from my research and had concluded they had contrasting personalities and disparate roles in their courts. I saw Eleanor first through Marguerite’s eyes—because the opening of the book is in her voice—but I KNEW I had her pegged when I heard her opening line for Chapter 3, “Marguerite had more gowns.” Now that’s a second sister! What did you enjoy most about writing the Sister Queens? The actual drafting of the novel. Now don’t get me wrong I LOVE the moments of discovery that come during research, but the creation of a first draft is positively magic. I mentioned my favorite moment in the writing process—the “genesis moment.” Once my characters spring to life I am in for a wild ride because they can become disruptive, for example starting conversations when I am showering, or weaving scenes I am desperate not to miss when I am driving. But it is so exciting. It’s like simultaneously being in a movie and watching it. Drafting The Sister Queens gave me a chance to slip on Marguerite and Eleanor’s skins, alternately becoming one and then the other while writing their personal sections of the book. There is SUCH a high in that, even if the experience does contrast (sometimes strangely) with my own life. I mean imagine being on crusade one minute and sitting in carpool line the next. Do you have any new works in the making for us to enjoy in the near future? I have been fascinated with the Valois royal line since I read Alexandre Dumas’ book La Reine Margot as a teen, and I’ve been particularly obsessed with the oft maligned Marguerite de Valois, youngest daughter of Catherine de Medici and Henri II of France. This new novel gives me the opportunity to tell her coming-of-age story. For more chances enter as often as you like by posting on FB, Twitter, Blog...and come back with the link! Enter at the review Post as well! Check out HF Virtual Book Tours for more reviews, interviews and Giveaways on Sophie Perinot's THE SISTER QUEENS! Bread to be queens, Marguerite and Eleanor achieved much greatness in the 13th c. as Queens of France and England, respectively. What began as two little girls with differences of opinions and very opposed characters (one could not be more different than the other), would result in the first-time ever unifying of France and England as allies. As children, Marguerite was always the more restrained, quiet and thoughtful one; Eleanor, on the other hand, spoke her mind and was a go-getter from the onset. Bickering as siblings do- once separated though, these two sisters had an unbreakable bond of loyalty and love. Throughout their life, each lived through the other’s correspondence as a source of lifeline where they could both retreat to for understanding and what they considered to be the greatest undying strength; family. The story is told in the heroines’ alternating point of views. Interestingly crafted, the novel flows with history without being overwhelming. 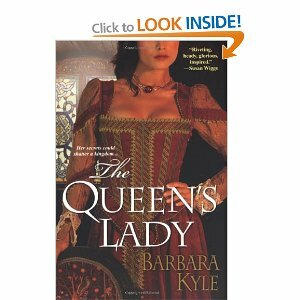 The passage of these two sisters’ lives is an engaging and quick read that is sure to appeal to historical fiction lovers. Elegantly written with strong prose and meticulous research, The Sister Queens is a great debut for author Sophie Perinot! COME BACK TOMORROW FOR INTERVIEW WITH SOPHIE PERINOT + GIVEAWAY!! Who would have known that in the 17th c. a sheer piece of lace-delicate and intricately woven was preciously coveted, priceless and forbidden by law and the French king himself? The Ruins of Lace is a novel based on all the sacrifice, crimes, smuggling, corruption and the unimaginably wild extent that people went to obtain even the smallest piece of this craft. Admittedly, it was a bit confusing at the beginning to read in all these different points of view- but the story was much too captivating to put down. Iris Anthony, did a fantastic job at fine-tuning the story in making the numerous characters have lives and paths that begged me to read on. I was particularly captivated by Katharine’s life and what it was like for this woman who knew nothing else about the world, but lace. How could she continue living this way- and she was blind?! Intricate as lace itself, this story unwinds through a series of events that lead to every character’s personal mission and quest to resolving an almost insurmountable feat. Mystery, murder, sacrifices and honor, The Ruins of Lace has opened up a whole new world of questions regarding this subject in itself. 17th c. Lace: forbidden, unattainable, priceless, beautiful and historical. Book Review + GIVEAWAY of Cleopatra's Moon!! !